An independent review was released late last week that examined the Texas hospital responsible for treating the first U.S. patient diagnosed with Ebola in September of 2014. It identified several communication failures and staff missteps at Texas Health Presbyterian Hospital Dallas. Faults were identified when Liberian émigré Thomas Duncan first complained of a headache and nausea—he also had a fever of 103 degrees. Duncan was sent home with a sinusitis diagnosis even after staff learned he had recently come from Africa. Communication was also deemed to be inconsistent. For example, Duncan’s travel history was not verbally shared with the physician by the nurse who had taken it. The review also found fault with the Centers for Disease Control and Prevention (CDC). It states that the CDC failed to properly prepare hospitals with the necessary protective equipment and management an Ebola case would require. The CDC’s slow response was also noted—CDC health personnel didn’t arrive in Dallas until three days after Duncan’s second hospital admittance, when his condition was more advanced. A CDC spokeswoman contests the claim, saying that a team arrived within hours of Duncan testing positive for Ebola. Generally speaking, the report largely validated guideline updates and procedural changes that were put in place as a result of the Duncan case. At the time, the CDC believed that any community hospital was capable of handling Ebola patients. Now, there are designated regional hospitals as Ebola treatment sites. Community hospitals are advised to keep Ebola patients stable until they can be transferred. The review was conducted by a panel of physicians led by a former chief executive of the Mayo Clinic. 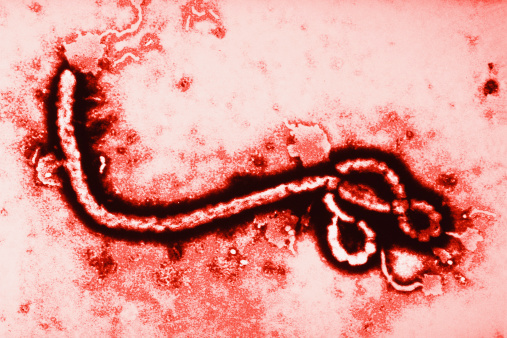 It was issued amid a lawsuit by Nina Pham, one of the nurses who caught Ebola while treating Duncan. She is suing the Dallas hospital’s parent company, alleging they failed to provide proper training and protective gear. “Review cites problems at Texas hospital during Ebola crisis,” FOX News web site, September 4, 2015; http://www.foxnews.com/health/2015/09/04/review-cites-problems-at-texas-hospital-during-ebola-crisis/.